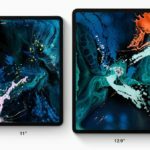 iPad Pro is one of the best tablets on the market and you can get some cool accessories to go with it. Apple Pencil is one of the most promoted accessories to go with iPad Pro. The Apple Pencil may initially seem to be quite ordinary but Apple doesn’t make anything ordinary. With the use of proper apps specially designed for the Apple pencil, its utilization is realized. So if you are looking for some apps to start exploring your Apple Pencil, here is the list of 13 best iPad pro apps. Most of these apps require iOS 10 or later and the exceptions have been mentioned separately. This app can be considered as the ideal alternative for Photoshop in Windows OS. 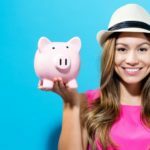 It comes with a variety of tools that enhances the performance of the app and moreover, there is only a single purchase amount around $20 that needs to be paid instead of subscription prices every month or year. It tops the list of best drawing apps for iPad Pro as it is used by Apple as a demo for iPad pro and the Apple pencil. The interface is made to suit the touch features of iPad pro as well as the pencil’s pressure and angle sensitivity. It is a professional app and has good compatibility with almost all file types (PSD too) along with a robust platform. It is the natural choice that iOS users make for their painting and drawing app. 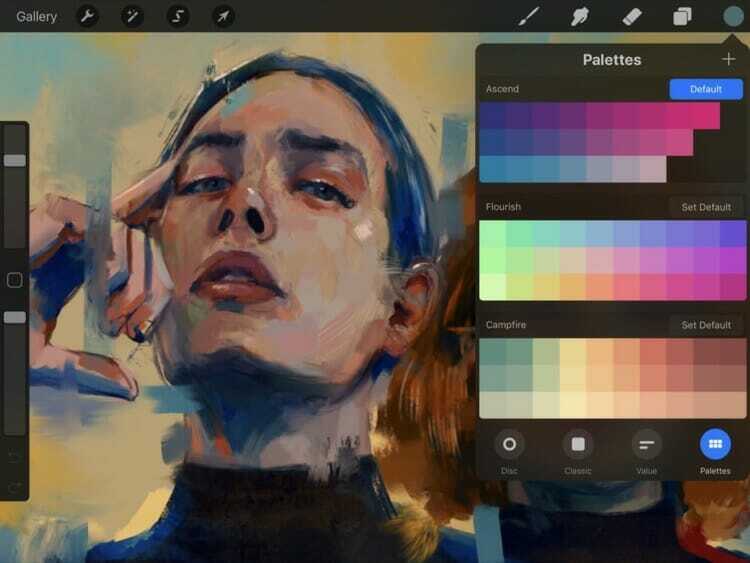 The new version, Procreate 4 has undergone several appreciable improvements including the wet paint options and the redesigned intelligent menu. But all these features are just amplified with the use of Apple pencil making this one of the best drawing apps for the device. The utility of the Apple pencil in this app is unparalleled. Apple pencil gives the best effects possible in Procreate. Apple Pencil is not only a tool for drawing, there are apps which use it in a non-conventional way. Complete Anatomy 2018 can be considered an educational app that allows you to explore the human anatomy with good interfacing with the iPad Pro and the Apple pencil for smooth control. You can use the Apple Pencil to cut through the human body and study it. Apple pencil will deliver precise cuts with the depth based on the pressure. 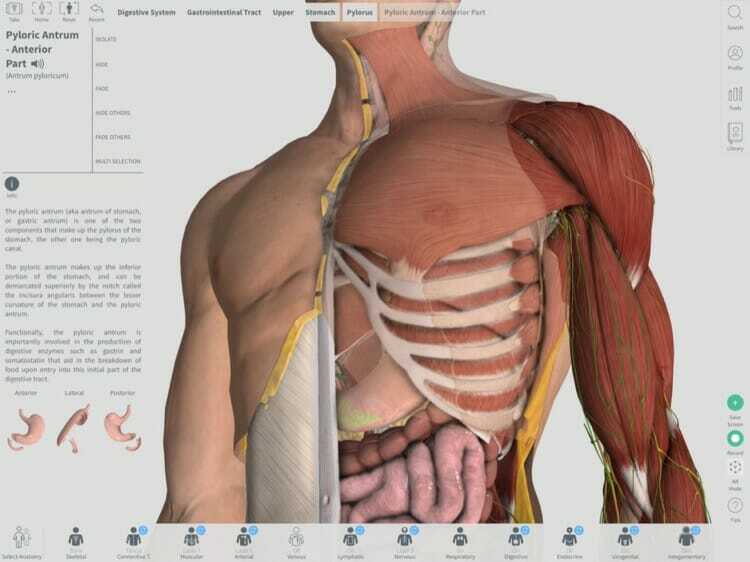 One of the best app for science students who want to learn about the human body. The cost of this app is $44.99 and it is a task-specific app that works best with Apple pencil. The first free app on the list, The Adobe Comp CC is used to make layouts and project designs with ease. The Apple pencil in the app gives a better experience. It spares you of the effort to draw with a pen on your notebook and allows you to do those same things with the same experience but with greater efficiency and representation. The Apple pencil just makes your job even more fun. You can even link the app with other apps such as your Creative Cloud, InDesign or Photoshop to add fonts and graphics. This app goes hand in hand with the Adobe Photoshop Mix. But this app just proves to be a little more mature and useful when used with the Apple pencil. The touch-up controls and the feature of object isolation along with the natural media drawing tools all feel so good when used with the Apple pencil. The only disadvantage is that the pressure sensitivity is not fully utilized in the eraser tool. It has pre-built export templates so that you can easily export your creations. You can also define your own preferred settings to export your images. This has become a popular app for scribbling notes, maintaining schedules and to-do-lists and even for doodling and creative work. The utility of this app is huge and also hosts a number of tools including the feature of audio recording while scribbling a note. With the use of Apple pencil, it becomes more fun and the palm rejection feature only makes Evernote better and obviously one of the best iPad pro note taking app for Apple pencil. Although this app has lost the battle of popularity with Procreate, still it has some great features that put it on this list. It has some lovely natural media types built-in. More brushes can be added from the Comp CC. It has the ability to push layered PSDs directly to Photoshop and add a flat or 3D configurable grid in the background. The natural media tools are really impressive especially the watercolor tools that provide you with an actual experience of painting in watercolors. It is primarily a note-taking app that uses the Apple pencil to give a wonderfully enjoyable experience of note-making. The app comes with other useful features such as the digital workflow system, PDF dictation system and automatic backup features. You can use Apple Pencil to draw on images or write free flow notes in this app. The app can also be used to produce the final organized presentation of a document. This is a free app by FiftyThree, that is mostly used by users for simple drawings and diagrams. It also allows you to capture your ideas on the fly, keep them organized. But the underlying features although quite frustrating to discover really reveal some cool abilities such as creating graphs, Venn diagrams, duplicating shapes and linking shapes from lines, etc. This app is mature in terms of supporting the Apple pencil and also its sensitivity. This is a handy free app for reading and annotating PDFs and word documents with texts and helps you to highlight and focus on main parts of the text as you go on reading. With the pencil, it gives an efficient real-time experience that utilizes both the pressure and angle sensitivity. 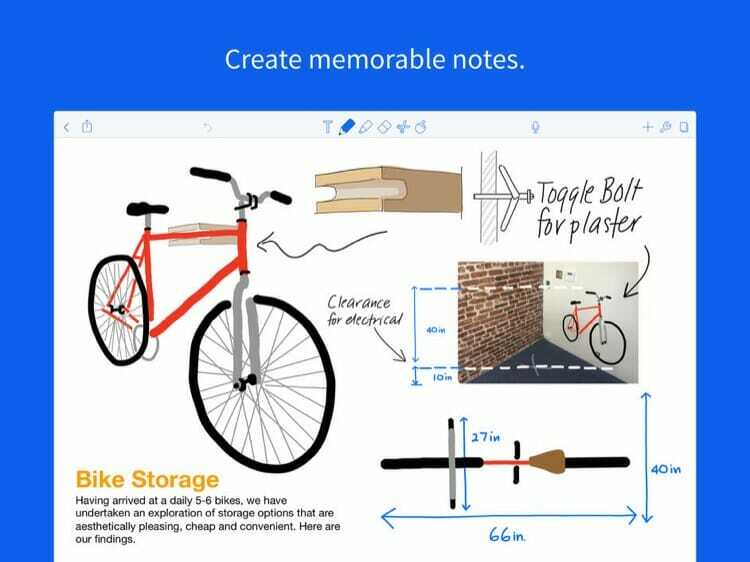 You can easily annotate or create notes on the pages with the help of this app. This is a free 3D drawing app which is exactly recommendable for the primary feature that it boasts of. A good app if you a graphics designer who wants to design something on the go. It still gives a good space to use the Apple pencil to create graphics along with tools such as the symmetry tool and the smart feature of smoothening curved lines drawn with the pencil. The sensitivity of the pencil is very well utilized. 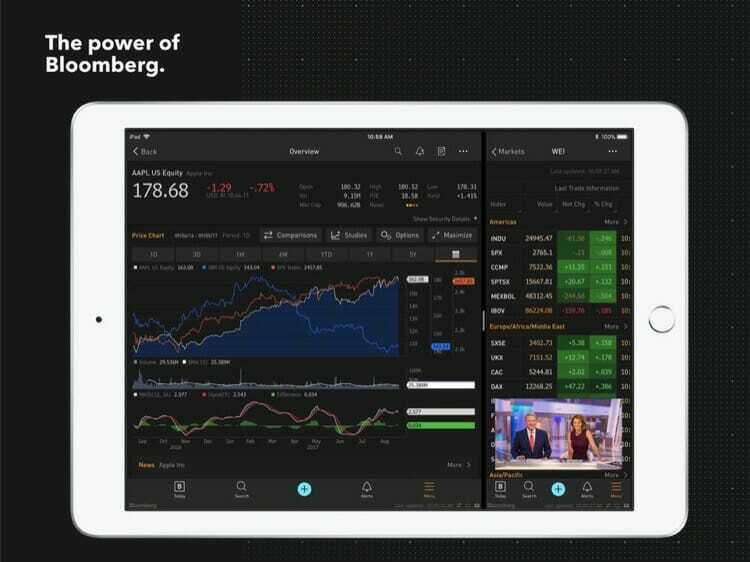 This is a free app for the people in the stock market that provides an interactive interface with the aid of the Apple pencil to manage and annotate portfolio, graphs. It can also be used to download reports and share them using Notes. Microsoft Word, Excel, PowerPoint and OneNote are all supported in the iPad Pro. The experience of creating documents, presentations and spreadsheets, annotating and editing them with the Apple pencil make these most common free apps some of the best iPad Pro apps that utilize the Apple pencil. 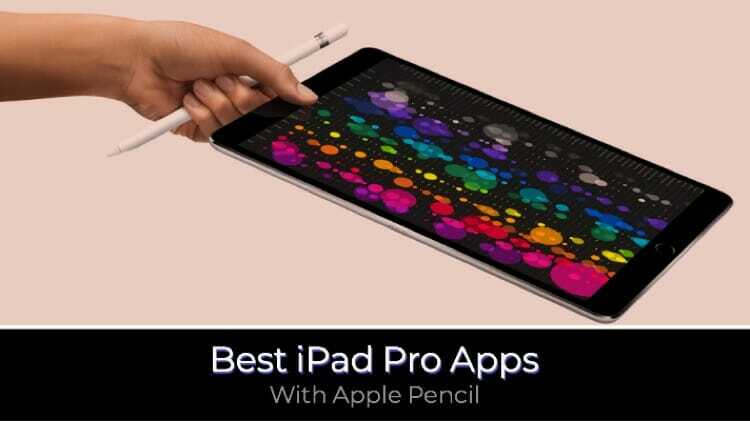 There are a number of other iPad Pro apps that support the Apple pencil but these are some of the prominent and well-known ones that are reviewed well and highly rated by the users.